Radical cow protection groups in India have killed at least 44 people over the last three years and often received support from law enforcement and Hindu nationalist politicians, according to a new report from Human Rights Watch. The 104-page report unveiled this week examines Hindu nationalist vigilante attacks and said 36 of the dead were members of India’s large Muslim minority. About 280 people have been injured in more than 100 attacks between May 2015 and December 2018, the report by the New York-based group said, without providing statistics for the previous comparable period. 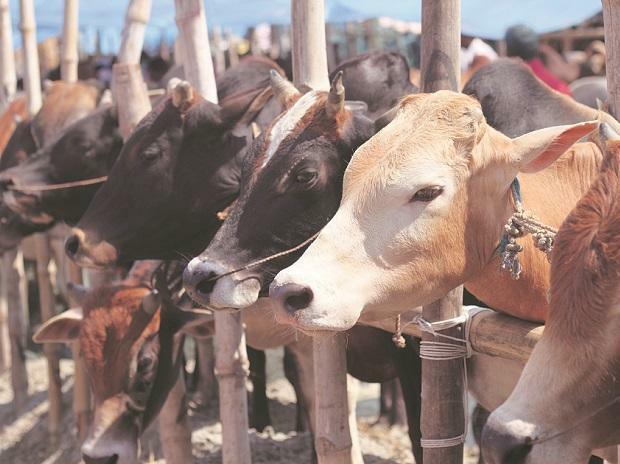 Members of Prime Minister Narendra Modi’s Hindu nationalist Bharatiya Janata Party, which supports policies to protect cows revered by the country’s majority Hindus, have “increasingly used communal rhetoric that has spurred a violent vigilante campaign against beef consumption and those deemed linked to it,” the group said. Modi has previously condemned vigilante violence and said killing people because of cow worship “is not acceptable.” In India’s federal structure, law and order is a state subject. The report, which also highlights the impact these so-called cow vigilantes have had on the rural economy, comes ahead of national elections in which some expect increased religious tensions between Hindus and Muslims. A recent major attack against security forces in India’s Muslim-majority Jammu and Kashmir has also heightened tensions, with one BJP-appointed governor of an Indian state calling for citizens to boycott traveling to Kashmir and Kashmiri businesses outside of the state. There have been news reports from across India of deadly attacks on Muslims dairy farmers and those suspected of eating beef. As recently as December, a police officer was killed while responding to a mob of Hindu radicals rioting in the state of Uttar Pradesh over cow deaths. The Human Rights Watch report is one of the first detailed surveys of deaths linked to violent cow protection groups, which are not tracked separately in official Indian crime statistics. Since the partition of British India in 1947, which created Muslim-majority Pakistan, the sizable Muslim minority in Hindu-majority India have suffered discrimination and violence. There are an estimated 170 million Muslims in India, and academic research shows there is actually declining inter-generational social mobility among Muslims, despite gains for poor Hindus. The Human Rights Watch report notes the country’s rural economy has been disrupted by the vigilante violence, which also hurts many Hindus. India’s bovine meat export industry, one of the largest in the world, has been hit as farmers fear going to cattle markets or traveling to sell with spent dairy buffalo. Farmers have generally sold unproductive livestock to slaughterhouses -- some of which have been targeted by Hindu nationalist politicians. But now farmers are simply letting the animals roam free. That has led to the destruction of farmers’ crops, the report notes.